Parsnips are an odd vegetable. With its appearance of a large, white carrot, this root vegetable is way too often overlooked by Luxembourg cooks. Yet, it’s absolutely amazing. Parsnips taste like a sweet, earthier cousin of a carrot, with a slightly nutty taste and a floury texture that comes close to a potato. They’re fantastic in all kind of recipes: mash them with a knob of butter, roast them in the oven with a dash of olive oil and a drizzle of honey (and a bit of cumin for an exotic touch), slice them thinly and deep-fry them to get really flavoursome crisps – *sigh*, so much to do with a parsnip. 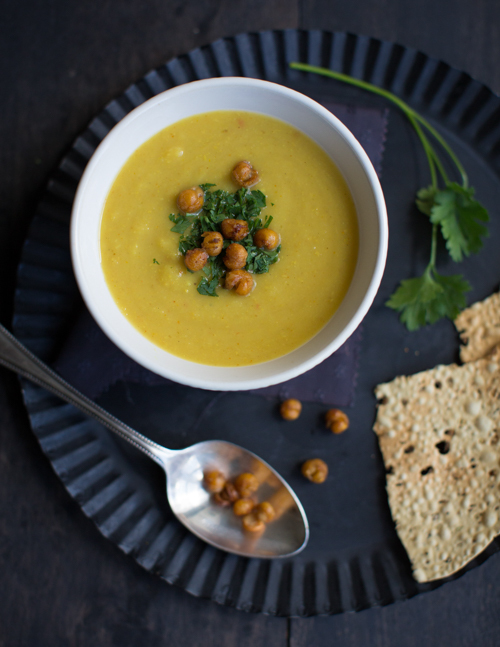 For this recipe I’ve turned my parsnips into a soup, flavoured with warming spices and topped with fried chickpeas. I hope you like it as much as I do! Peel the parsnip and cut in small cubes of around 1cm. Peel the apples and cut them into cubes of around 3cm. Peel the onions and the garlic cloves and finely chop. Heat 2 tablespoons of sunflower oil in a heavy-bottomed saucepan and fry the chopped onions for 5 minutes until soft. Add the garlic and fry for a minute, then add the curry powder and continue to fry for another minute. Add the parsnips and cook for one minute. Add the vegetable stock and the apples and bring to the boil. Cover and leave to simmer for 10 minutes. Meanwhile, drain and rinse the chickpeas. 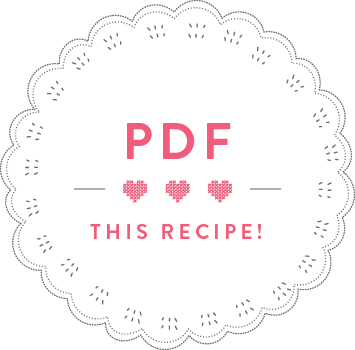 Put half of the chickpeas on kitchen paper and pat dry. Heat the remaining two tablespoons of sunflower oil in a frying pan. Fry the chickpeas for 5 minutes until they are crispy. Transfer into a bowl lined with a kitchen paper to absorb some of the oil, then remove the paper and season the chickpeas with the cumin and a bit of salt. After the soup has cooked for 10 minutes, add the remaining non-fried chickpeas to the soup and continue to simmer for 10 minutes, until the parsnips are tender. Blend the soup with a stick blender and season with salt if needed. 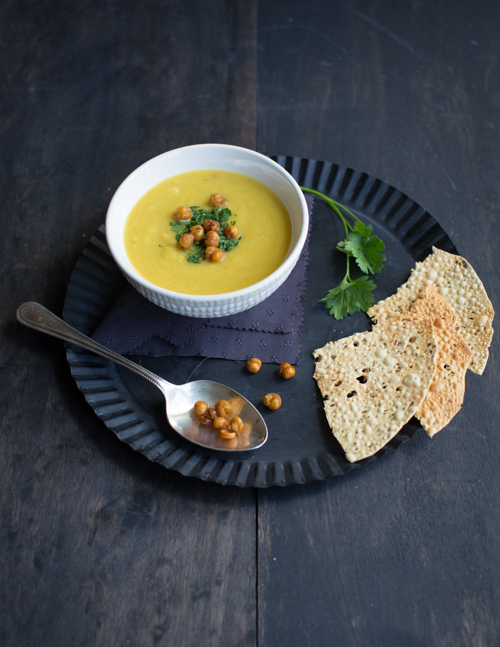 Serve the soup sprinkled with chopped parsley, crispy chickpeas and drizzle with a little lemon juice.